Home Spotlight	JEFFREY OSBORNE, SMOOTH, COOL & SUAVE ! 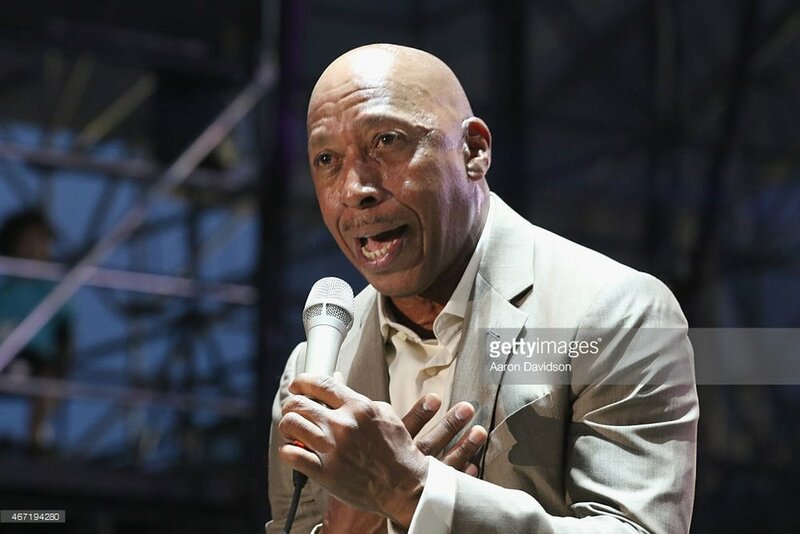 Jeffrey Osborne, a multi-talented performer since 1970 started his music career with a band called Love Men Ltd., who would later become known as L.T.D. The band recorded hit singles such as “Every Time I Turn Around”,” Back in Love Again”, “Concentrate on You,” “Love Ballad” and “Holding On (When Love Is Gone)”. At first, Osborne was a drummer, sharing lead vocal duties with his brother Billy, but by 1978 he became the group’s primary lead vocalist. He and Billy both left L.T.D. in the late 1980’s to start solo careers. His solo success includes five gold and platinum albums. Osborne released his self-titled debut album in 1982, it featured two hit singles, “On the Wings of Love” and “I Really Don’t Need No Light”, peaking at #29 & #39 on the pop chart. Followed up the next year by Stay with Me Tonight, his first gold album (later reaching platinum album status), which spawned two more hits, “Don’t You Get So Mad” (#25) and the title track (#30). “Stay with Me Tonight” (April 1984, #18) and “On the Wings of Love” (June 1984, #11) reached the UK Singles Chart. In 1985, he wrote the lyrics to the Whitney Houston hit “All at Once” (music by Michael Masser). He appeared on USA for Africa’s fundraising single, “We Are the World” in 1985. Osborne had two more gold albums, Don’t Stop and Emotional, the latter of which had his highest charting solo pop hit, “You Should Be Mine”, which peaked at #13 in 1986. The following year, Osborne had the highest-charting hit of his career duetting with Dionne Warwick on “Love Power”, which reached #12 on the Billboard Hot 100 and also topped the Adult Contemporary singles chart. This was a turning point in his pop success, as his albums and singles began charting lower and lower on the pop charts. Osborne’s 1988 single “She’s on the Left” would be his final Hot 100 entry, as well as his only #1 R&B hit. After scoring two more R&B hits in the early 90s, “Only Human” and “If My Brother’s in Trouble”, Osborne would be absent from the charts for the remainder of the decade. In the new millennium, he returned with a series of albums that, while far from the success he enjoyed in the 1980s, returned him to R&B radio, scoring modest chart singles such as “Rest of Our Lives” (#75, 2003) and his cover of Barbara Mason’s classic “Yes, I’m Ready. Jeffrey Osborne puts a lot of Soul, Passion and warmth in every song he sings, his smooth, silky voice is just what R&B music is all about. BACKBEATRNB IS SUCH A BIG FAN OF SINGER PEABO BRYSON!